What? Fletcher Burwell-Taylor Ltd have created a great solution for when you need extra space at the dinner table – an expanding table. 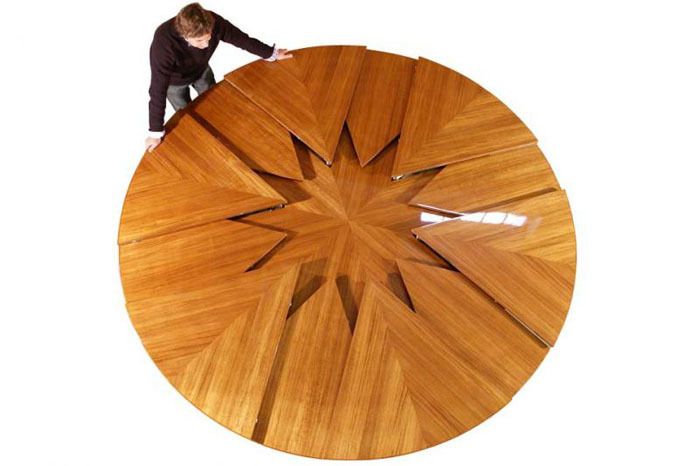 The made to measure round table has folding leaves stored within its body and expands by rotating the surface of the table either manually or with a remote control. The table is suitable for use at home or in harsh saline conditions like on a yacht.